Drone is the toy product which being popular in this era. Many kinds of the drones marketed around the world. One of brands that has a good popularity because of the affordable price and quality is Syma. Syma is released by china which means china product. Syma is not only best known in its country but also in other countries. Since of this product is one of good choice for drone lovers. This article will discuss the comparison of two Syma products. They are Syma X5C and Syma X5C1. 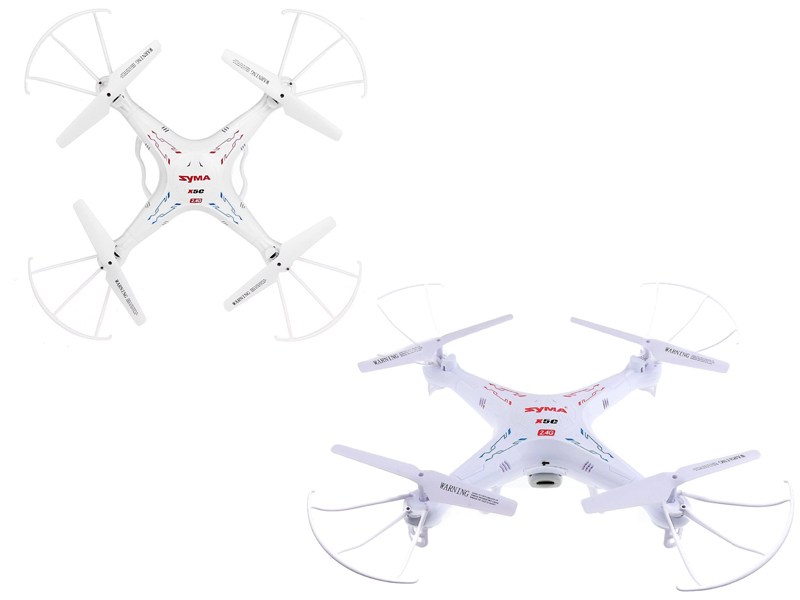 Syma X5C is designed with all good features that a beginner demands from his drone. Since this product is inexpensive, many people choose to buy it in order to experience quadcopter with HD camera feature. This product is durable and if the drone is broken or crash you can repair it yourself by replacing the broken part of drone. Syma X5C is also stable enough to use indoor or outdoor. Syma X5C provides enjoyment and good experience at a low cost. This product also adds 6-axis type gyro stabilization so it will fun to use it especially if you want try to flip or maneuver with it. This product is available in mid-size and simple design. The battery life also limits the flight time that 7-10 minutes only. Take a look: Syma X5C Vs Syma X5HC. Syma X5C1 is upgraded version of Syma X5C. Syma XC1 fixed the performance and issues there in Syma X5C product. In Syma X5C1, the user will be easier to control the drone. The flight is stable, responsive and agile. The camera is not different as Syma X5C version. It gives you the ability to capture aerial photo or video with decent quality. Syma X5C1 is powered by 500 mAh capacity battery with 90 minutes charging time and over 7 minutes flight time. The conclusion is both Syma X5C and X5C1 comes with same simple design. Syma X5C can you get with cheaper value of money. If you want the better version, you can choose Syma X5C1 which is an upgraded version of Syma X5C. Syma X5C1 fly more stable, responsive and smoother besides both of Syma X5C and X5C1 have the same camera quality so that if you need the better performance of drone flight you just spend your money a few more and you will get the upgraded Syma X5C, Syma X5C1.